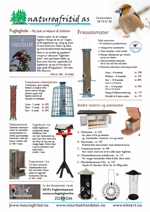 Bøker til nedsatt pris om fugler, dyr, pattedyr, fisk, insekter, planter og biologi. Supplement tid monografien over musseronger. Oppdatering og tillegg. Tekst på italiensk, nøkler på engelsk. This work is meant as an updating, both of the text and plates, of our monograph TRICHOLOMA (Fr.) Staude published in 1988. For practical reasons, the systematic-taxonomic updating is still based on M. Bon’s conceptual framework (1984-91), while some interpretations by A. Riva (1988) have been modified. The presentation of the new species, varieties and form that have been proposed over the past fif-teen years follows the same pattern as the first edition. The colour plates by A. Dermek and E. Rebaudengo, which in the former edition illustrated all the species, are substituted by some new plates by J. P. Beati and colour photographs. 2003, ISBN 88-901057-0-4, 204 pp., hardback, 245mm x 180mm, 90 photocolor and micrograph made by the Author, 5 colour plates by J.P. Beati and 1 by E. Grilli, italian, keys italian/english.